Your presentation is saved as a standard HTML document. There's normally no need to worry about this but for some advanced uses it can be helpful to manually edit the underlying HTML. If you wish to edit the HTML for a complete slide you will need to turn on the developer mode. 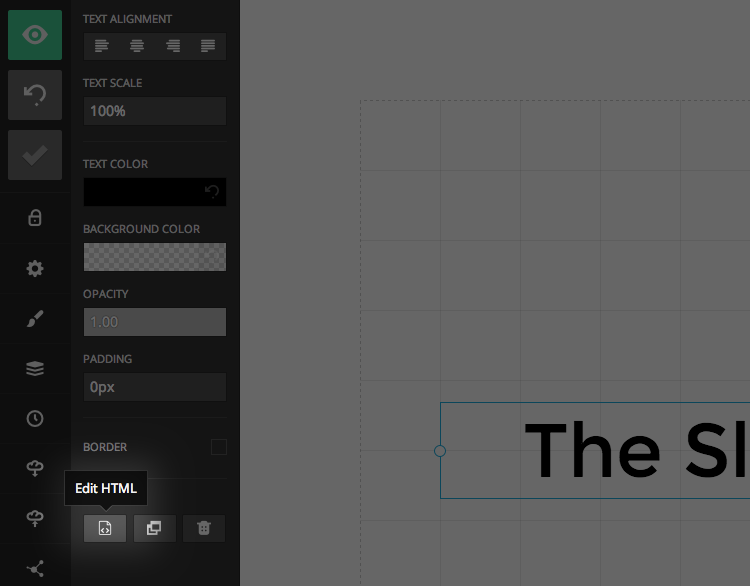 The text block allows you to modify its HTML source. To access this HTML editor press the "Edit HTML" button in the bottom of the block's config options.